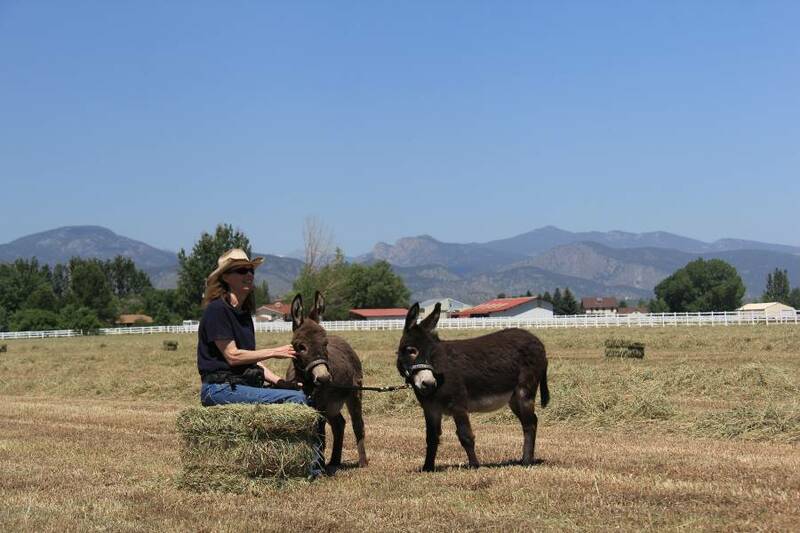 It’s summer time, and there are tons of adventures to be had for two mini donkeys on a bustling ranch like Lucky Three. 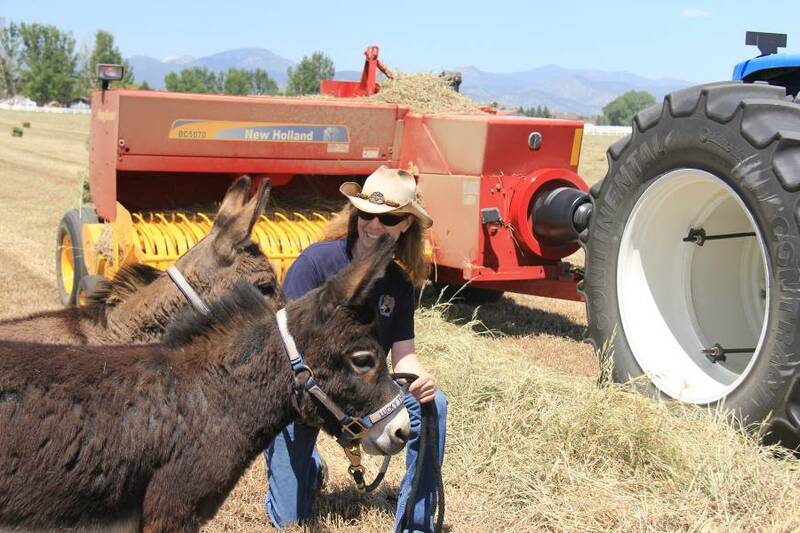 Today, Spuds and Augie explore the hay field with Meredith and test their bravery against a fearsome, loud machine. Hey, Spuds! I hear Meredith calling…what’s up? She’s kinda silly, Augie. 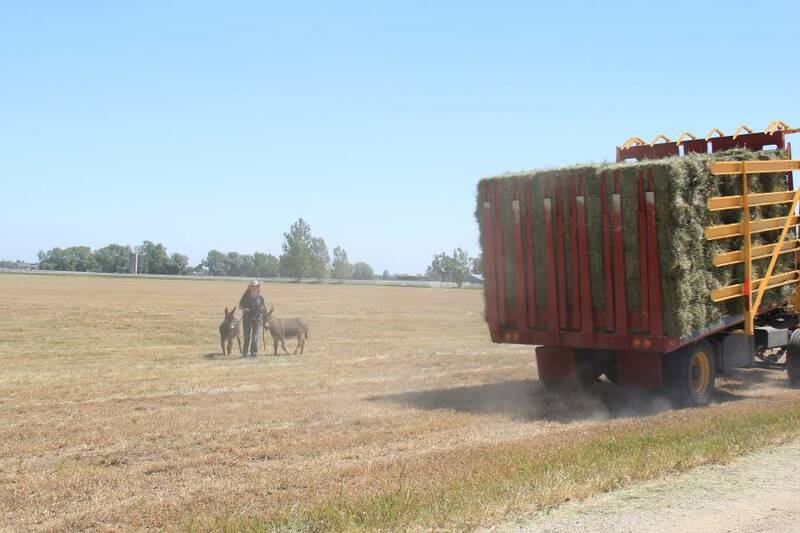 Who ever heard of saying “how do you do” to a swather, Augie? WOW!!! That’s super noisy and REALLY BIG! Oh look, Spuds, it’s not so scary. 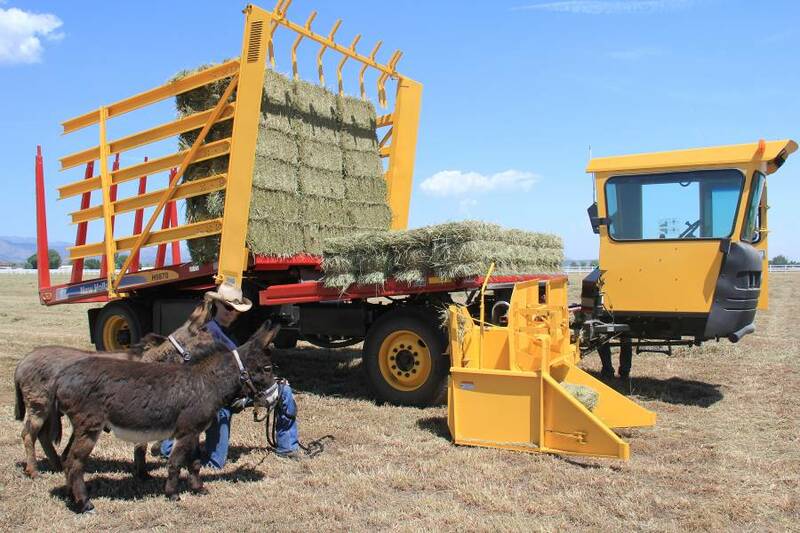 This is how they make our hay! 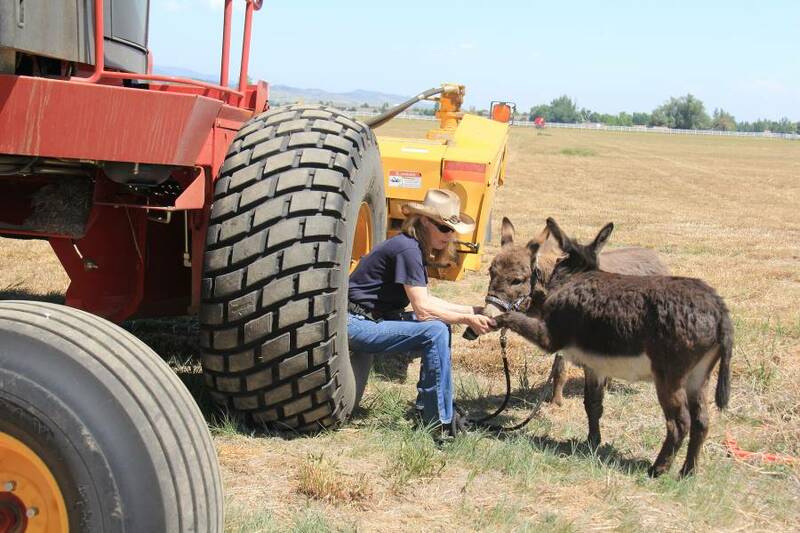 Yeah, and look how they pick it up with this other big machine so they can put it in the barn! 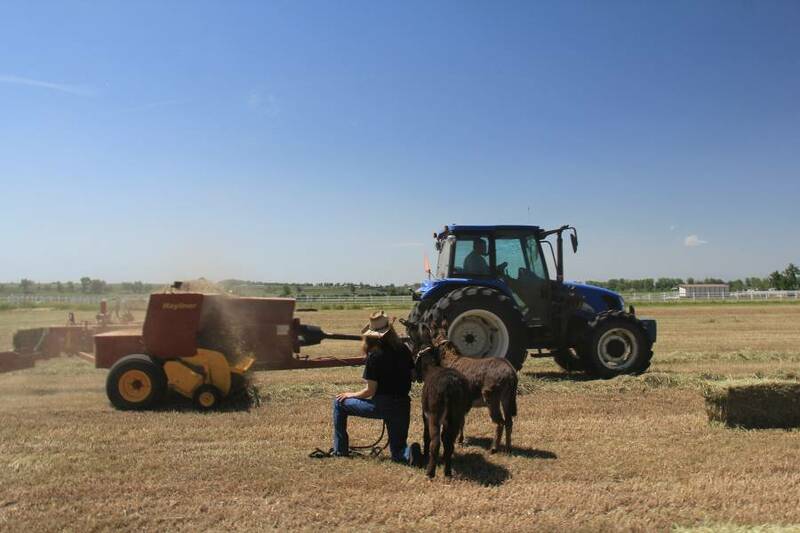 What a fun adventure in the hayfield…we learned a lot today! Way to go Spuds and Augie!! Y’all are so adorable!! 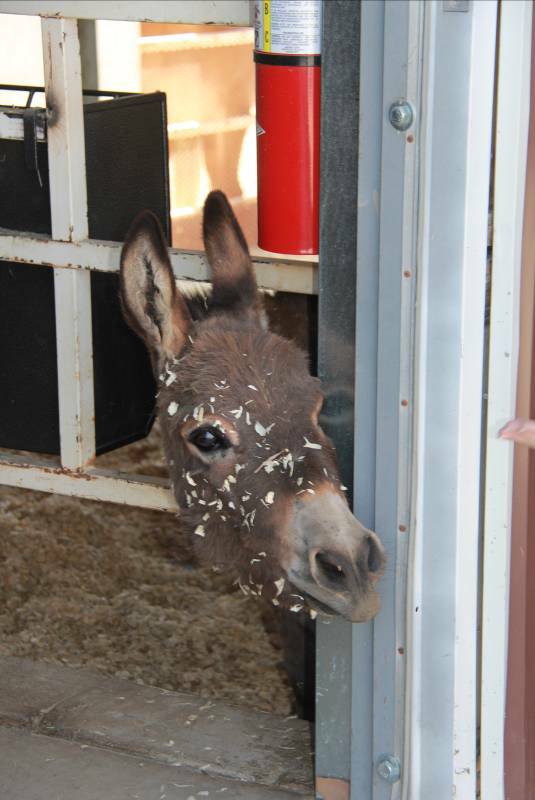 I love the donkeys and I have 3 mini’s myself and they are something else LOL especially Willy and Ruth that are mother and son. They were my first 2 that I bought. Lily I bought a little later and she just pays no mind to the other 2.